We finally got a (brief) look at the refreshed 2016 Chevrolet Silverado and so far the pictures and information all point to an even better truck. The Silverado and GMC Sierra both will receive updates for the 2016 model year, capitalizing on their successful 2014 redesign. Here is what we currently know about the next generation trucks. The trucks receive new noses that offer a more finely detailed front end that softens the sharp edges of the current model. Chevrolet says the new truck will still have a muscular appearance though. The Silverado loses its dual headlights, switching to a single light assembly with LED accents. The Sierra similarly gets a new front end and GMC has said that each trim level will get its own distinct grill design. 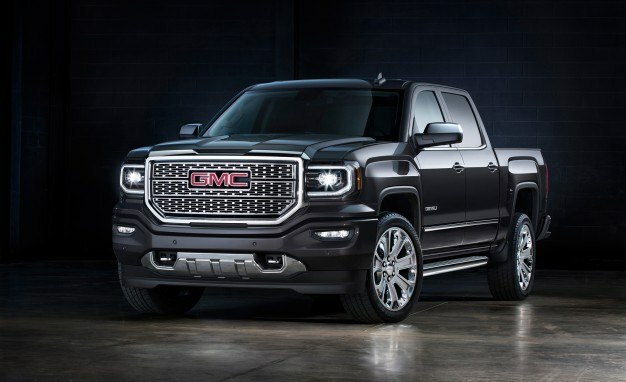 The refreshed styling looks to continue GMC’s bold styling language, with chrome accents and LED lighting. Thus far we are still unsure of any rear end updates, but have been told there have been adjustments to the double and crew cab body styles to increase rear seat room and entry/exit access. Rumor has it that the 8 speed transmission will be making its way into the 4.3L V6 and 5.3L V8 engines. Previously only offered with the 6.0L V8 option, the 8 speed transmission increases fuel efficiency and is now available for all buyers, not just those who need some extra muscle for towing. As with the current generation, all trucks will have Variable Valve Timing and Active Fuel Management (which deactivates cylinders under low power situations to conserve gas). Details about this are slim, but we are told that the new trucks will have bolstered active safety hardware. Already receiving excellent safety scores, this will make the Silverado and Sierra an even more attractable choice. 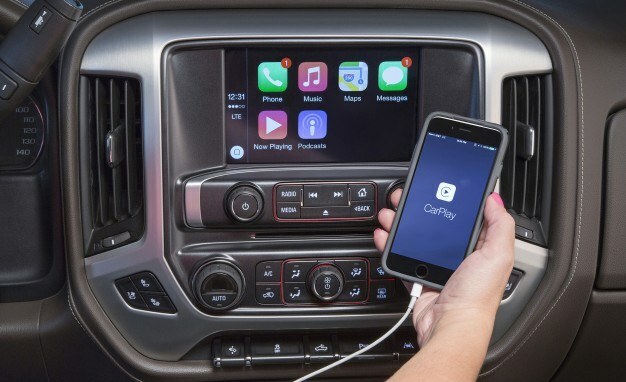 Technology lovers will be excited to hear that an updated Chevrolet MyLink system will now support Android Auto and Apple CarPlay, allowing drivers to safely utilize and sync their smartphones to the vehicle. Carrying over for 2016 will be the availability of Siri Eyes Free and available OnStar with 4G LTE hotpot capability! Stay tuned for more information and more pictures of the 2016 Chevrolet Silverado and GMC Sierra. Can’t wait for 2016? Click here to see all 2015 Chevrolet Silverado inventory! Click here to see all 2015 GMC Sierra inventory!